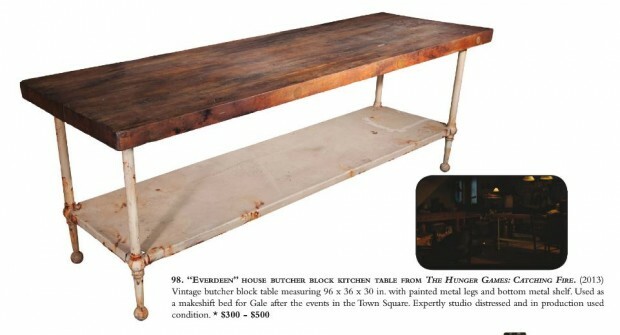 But before you get excited and think that you too can own a piece of Hunger Games history, there is a cost. You can even buy the Capitol vehicles, and considering how much the above bottles cost, I’m actually quite surprised they’re priced this low. Here’s another amusing thing about the pricing: whoever made this list doesn’t seem to understand how to properly scale things. There are only a small handful of costumes from The Hunger Games, but we know that this is because Black Sparrow Auctions sold off the costumes from the first film in 2013. 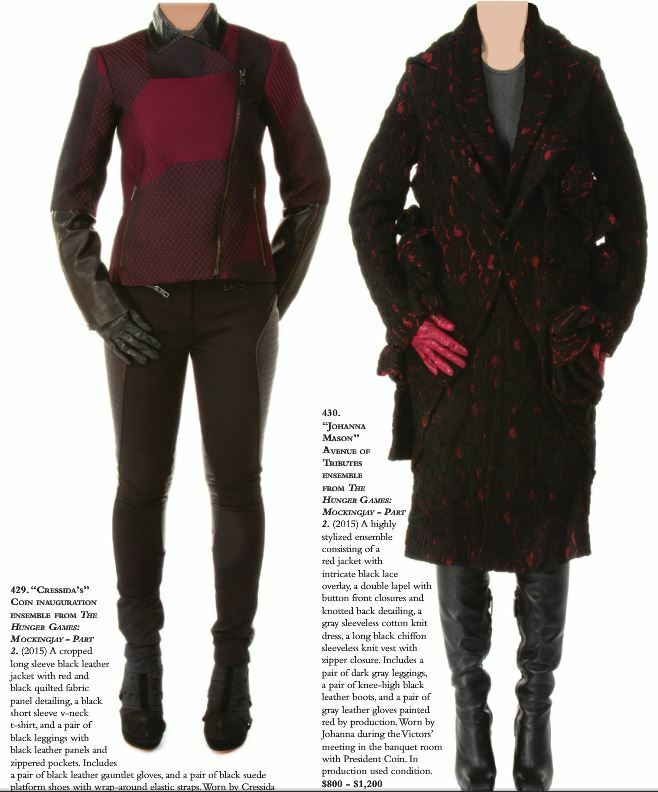 Most, if not all, of the costumes from Catching Fire (including victor reaping costumes we’ve never seen!) and Mockingjay Part 1 and Part 2 (including President Coin’s My Body Is Ready costume!) 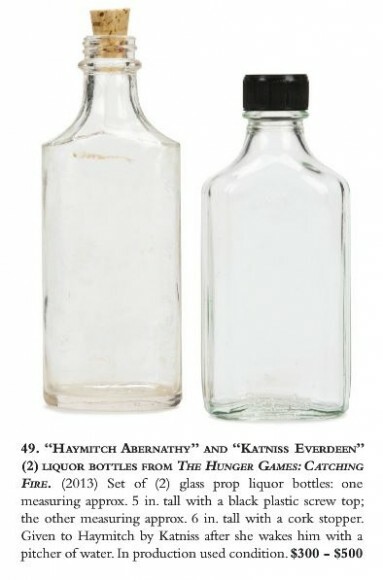 are present, and they look like truly memorable costumes to treasure if you can get your hands on them–Caesar’s, Katniss’s, and Peeta’s are particularly amazing. 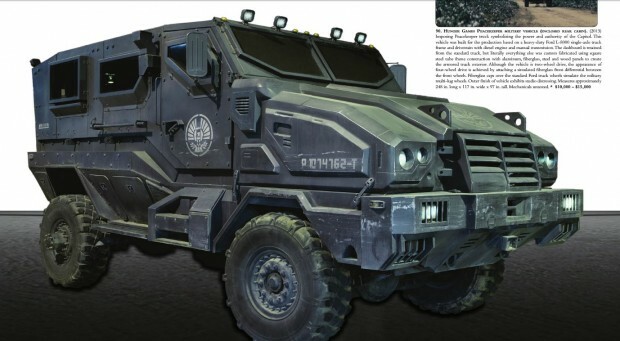 Overall, the catalog is a ton of fun to look at, especially since we get to see things that never made it on screen. 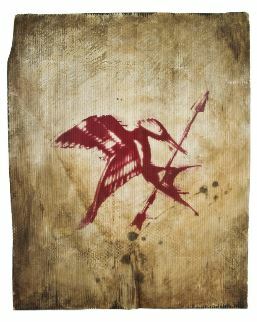 Be sure to give it a look over at http://thehungergamesauction.com. I’ve inquired with Lionsgate to see whether they intend to sell print copies of the catalog, since that would actually be something I’d buy. SANTA MONICA, Calif. and VANCOUVER, British Columbia, April 18, 2016 — Lionsgate (NYSE:LGF), a premier next generation global content leader and the studio behind the blockbuster The Hunger Games film franchise, has partnered with Profiles in History, one of the world’s leading auction houses for Hollywood memorabilia, to hold The World of The Hunger Games Auction on May 20, 2016. 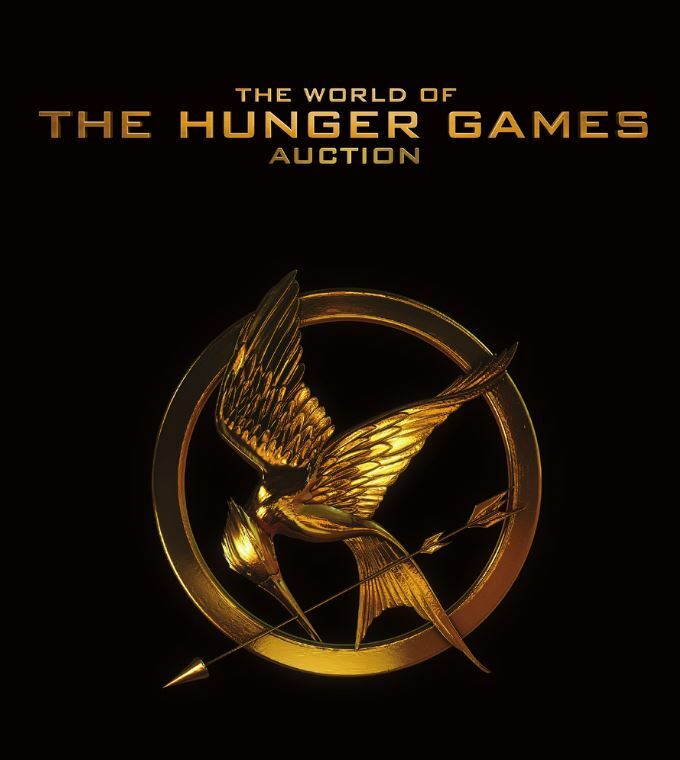 For one day only, nearly 500 authentic costumes, props, and set pieces will be available for purchase from each of the franchise’s four films: The Hunger Games, The Hunger Games: Catching Fire, The Hunger Games: Mockingjay – Part 1, and The Hunger Games: Mockingjay – Part 2. 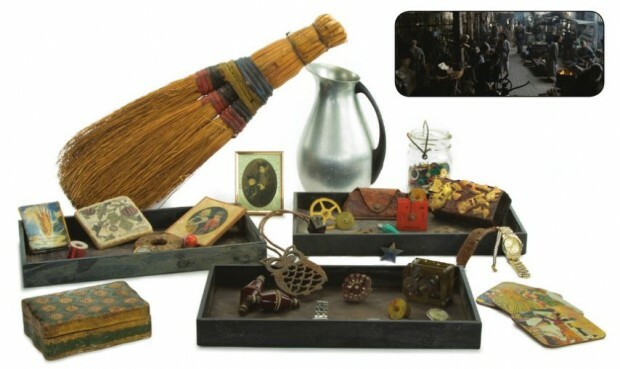 More information, including auction registration and a full catalog, is available at http://thehungergamesauction.com.